What foods will help me sleep? Lucky for you there are ample amounts of research when it comes to this topic. The NIH and many prominent sleep organizations have made it their mission to bring you some of the best information on the internet. Sleepcompare has broken down some of the best foods so lets get started! What food groups should I eat before bed? The biggest mistake people make when they are heading to bed is to eat something sugary. Sugar will quickly enter the bloodstream and cause the heart to beat just fast enough to make you uncomfortable when you are trying to get to sleep. Your bodies first reaction when it receives sugar is to get active. This is obviously the last thing you want happening to you right before bed. Many people who eat sugary foods before bed frequently experience more night sweats and restless sleep. They toss and turn all night and are more often less satisfied with their sleep in the morning. All that sugar that doesn’t get to be burned before you head to bed is than turned into bad fats that are immediately stored onto the body. When it comes to talking about protein its important you have some in your stomach before you get to bed. If you have spent your day exercising than this is the time your body takes to fully recover itself. Without protein there is nothing to fill the tears of all the muscle groups throughout the body. Make sure you have a comfortable amount of protein before you get to bed. Fatty foods are the most important food group before bed. Many people tend to follow conventional wisdom and believe eating fat is generally bad for you. What most people do not know is that while you are sleeping you are burning many more calories than you previously thought. The easiest way to have a balanced controlled caloric burn is to burn simple animal fats. One of our personal favorite foods to eat before sleep is chicken soup. As long as there is not too much sodium it is one of the best choices. It can hydrate you for the night, provide you with ample amounts of protein and give you the most amount of nutrients that will help you feel great before bed. 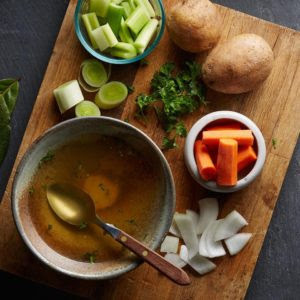 We really enjoy the taste of bone broth due to its many scientific benefits. There is a lot of natural gelatin that is excreted from within the bones into the soup. Gelatin produces the amino acid glycine, this amino acid is known to be beneficial to induce sleep when it interacts with the neurotransmitters in your brain. There was a reason your mother and father would always give you a warm glass of milk as a child to get you to fall asleep. That warm glass of milk can bring back the nostalgia of having some breast fed milk and sleeping like a baby. 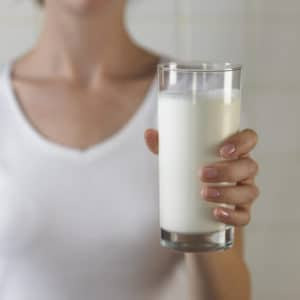 There is some research that has looked at the mixture of tryptophan and melatonin which both appear in milk. Both of these have been known to make falling asleep a lot easier. 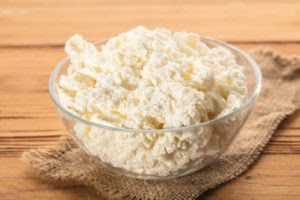 Cottage cheese is another one of our favorites due to some of its specific properties. It happens to be one of the higher protein cheeses and because it is a cheese it is very high in fat. To top it all off there are high amounts of tryptophan in cottage cheese. Think we should add more foods? Feel free to reach out to us and let us know by writing to us!